The Yankees have now been a strong playoff contender for nearly two decades. That in and of itself is an impressive feat. Granted, they outspent every other team by a significant margin over that period, but as the Yankees of the 1980's proved, money does not always buy wins. The game has changed now and the Yanks are trimming back and becoming more fiscally responsible under the Steinbrenner sons. They no longer are willing to cross luxury tax thresholds and seem less apt to spend on "extra" items such as Rafael Soriano as an 8th inning insurance guy. The "Core Four", who were largely responsible for this historic run of excellence, are now down to just two players. Both Derek Jeter and Mariano Rivera are coming off of major leg injuries and have something to prove. If we have learned anything from these ageless wonders, it is that you can never count them out. However, this team is really showing its age and in fantasy terms that is a significant drawback. When drafting Yankees players on your fantasy squad it is important to look at the picture as a whole and understand how the "real life Yanks" can impact your fantasy season. At 6'7" 290lbs (give or take, more like give), C. C. Sabathia is a beast of a man and has been as durable as they come throwing 200+innings 6 years in a row. He is showing some wear and tear at the age of 32 and had off-season surgery to remove a bone spur from his elbow. All reports are that he is healthy and that should continue to make him a fantasy ace in all leagues. If he makes more than 32 starts that should equate to 17 wins or so based on his track record and how deep he pitches into games. The less chances a bullpen has to blow a lead the better off a pitcher is in terms of wins. Sabathia is good for about 200 K's and an ERA under 3.50. Watch him in the spring to see if he is throwing without impediment. Andy Pettitte is 40 and that number should be enough to give you pause. He did pitch admirably over his 12 starts in 2012 (5W, 69K/21BB, 2.87ERA, .232 OPP BA). It is likely that performance was over his head a bit since a third of those starts came against NL teams. That equates for the low ERA. The rest of the starts were against SEA, MIN, KC, CLE and TOR (twice). That is not exactly DET, LAA or TEX. Petteitte can be a spot starter in favorable match-ups, but at his age it would be crazy to rely on him on a weekly basis. Hiroki Kuroda is no spring chicken either at 37. He is another guy who exceeded expectations. No one would have thought a move to the AL would have reduced his WHIP, but Kuroda proved he is a professional pitcher in any league and he should be a solid back end starter/match-up play in most formats. He was 11-6 with a 2.72 ERA at home (compared to 5-5 with a 4.23 on the road). Keep that in mind when setting your lineups. Phil Hughes' ERA was a full run better at home (3.74) than on the road (4.76). He is still young enough to improve (just 26), but as of now he is another matchup play for home starts and should be on the bench the rest of the time. In AL only leagues he has more value than mixed. That leaves us with a combination of Ivan Nova/David Phelps/Michael Pineda at the back end. Nova's ERA (over 5.00 in 2012) killed your fantasy rotation last year and he has had injury problems in the past. Speaking of injuries, you would be lucky to see Pineda before the break. The Yanks paid a big price for him and will not rush him back with the number of in house options they already have. He is a draft and stash in late rounds only. If he costs more than that, let someone else have him. Phelps was sneaky good in his first shot with the big club and for my money the best value pay of the three in fantasy drafts. We all know Mariano Rivera is the greatest and the injury was not to his arm so that is positive. There is little reason to believe Rivera can't get back to being his old dominant self. $o saves, stellar ERA and K/BB numbers are the norm for Rivera. I would draft David Roberston as a handcuff to Rivera if your bench is deep enough just in case. He will be a good source of K's and holds regardless. Neither Francisco Cervelli or Chris Stewart are fantasy material and Austin Romine seems to be in line for a crack at the job by the summer. None will hit enough to be fantasy worthy. Mark Teixeira is on an obvious decline, but he will still post solid power numbers (30/100) even if his average hovers around .250 (which is a 3 year trend). 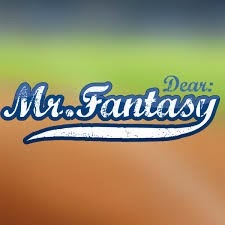 Robinson Cano is in his prime (30) and is the #1 fantasy second baseman heading into the 2013 draft. He does it all (BA, AVG, runs, hits, HR, RBI), except for steal bases, but that is hardly a deterrent when you look at the big picture. He is playing for a contract, so it would not be crazy for him to have a career year and cash in. With Alex Rodriguez mired in a PED cloud and rehabbing from hip surgery, the Yanks brought in Kevin Youkilis to fill his shoes at third base. He is another aging player (34) on the decline. It is one thing that his slugging percentage has declined, it's another that his on base skills are eroding (just a .336 OBP compared to his career .382 mark). He is very risky as your everyday fantasy third baseman, but he can be considered for a corner infield slot in roto formats. Ignore A-Rod altogether. 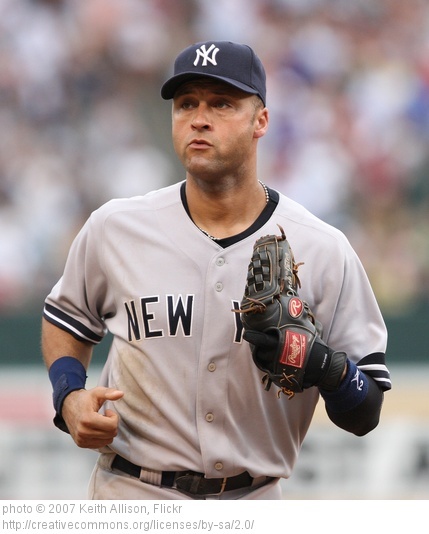 Derek Jeter had a terrific year with his highest OPS (.791) in three seasons. His speed is all but gone at 39, but the BA is strong and the pop is still in his bat. You could do a lot worse than Jeter at short. In the outfield, Curtis Granderson has had back-to-back 40+ homer seasons, but he strikes out way too much (195 times last year). That will kill you in points leagues and drag down his BA in roto. You need to have players on your roster that will offset these issues if you are going to roll with the "Grandy-man". In 67 games with the Yankees, Ichiro Suzuki was reborn (7.94 OPS/.322BA). He will be a cheap source of average and steals and will likely outperform his ADP. Brett Gardner has 50 steal potential when healthy, but he missed all but 15 games last season. He is pretty one dimensional and his value will coincide with where he hits in the batting order. If he leads off he gets a boost in value, as a 9 hitter knock him down a few pegs. Travis Hafner will see most of the time at DH and his swing plays very well in Yankee Stadium. DH will be a revolving door for the Yankees, so he is good for a waiver wire pick up on a hot streak, and little else. Age will define this team and it would not be surprising to see multiple players spend time on the DL. When drafting your fantasy team, you want players in their prime (29-31 according to J.C. Bradbury author of Hot Stove Economics, a book that will change how you see the game.). Aging superstars can be expensive and disappointing. Best to not overpay for name recognition and instead draft them for their numbers instead. For more player reviews check out THE FANTASY BASEBALL BLACK BOOK 2013 EDITION available for iPad and Kindle on Amazon.